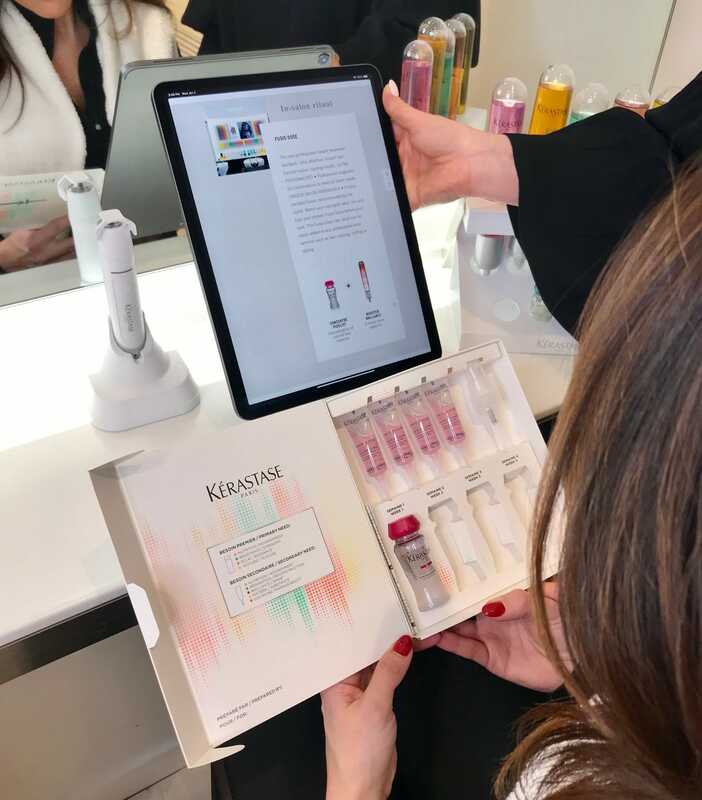 Want to learn more about the Kerastase Fusio Dose Treatment? Click here. 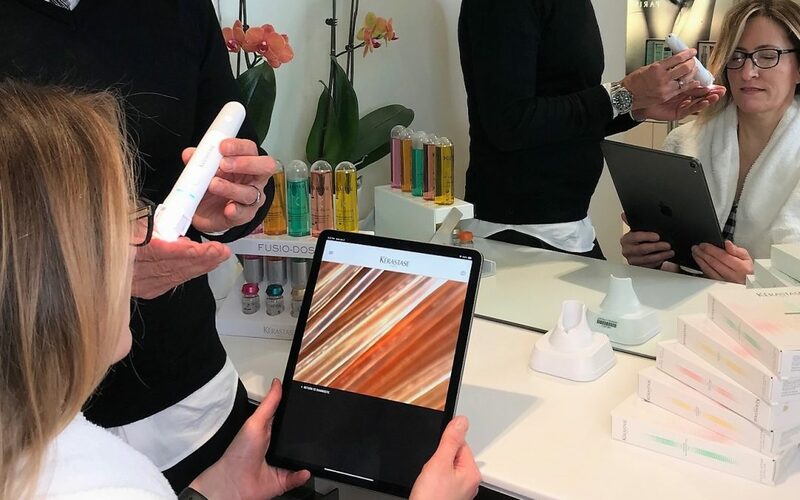 Kerastase has always been on the cutting edge of hair care, and they’re showing no signs of slowing down. Since the late sixties, Kerastase has constantly been innovating and introducing a wide range of original products. These revolutionary products have always been top quality; designed to treat specific issues with your hair. 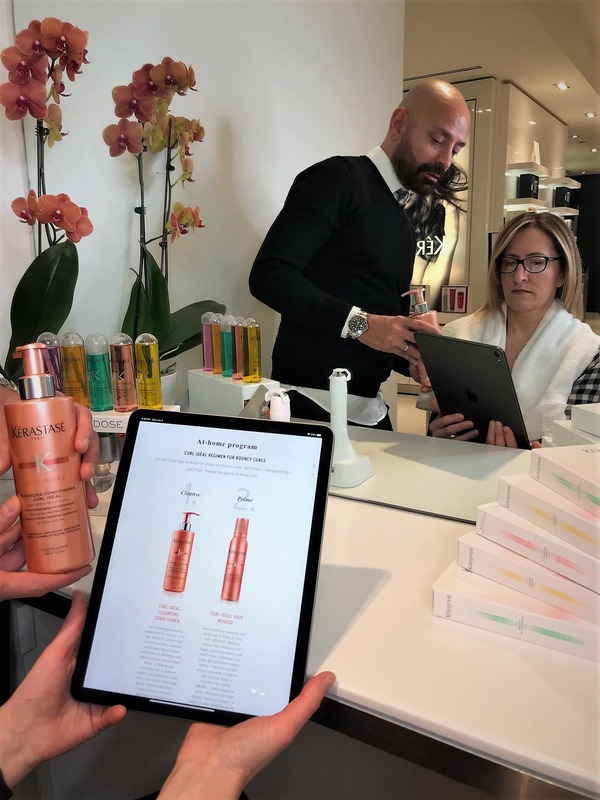 From the original Bain Equilibreur introduced in 1967; designed to treat dry scalps, to the present day Fusio Dose treatments which can be customized to suit your needs, Kerastase has always been a leader in helping you find the absolute perfect solution for your hair. Of course, the best way to know how you should be taking care of your hair has always been to have a discussion with your stylist. They’ve been trained in the art of hair care! But now, Kerastase is making it even easier to help you figure out the perfect treatment for your unique hair type. 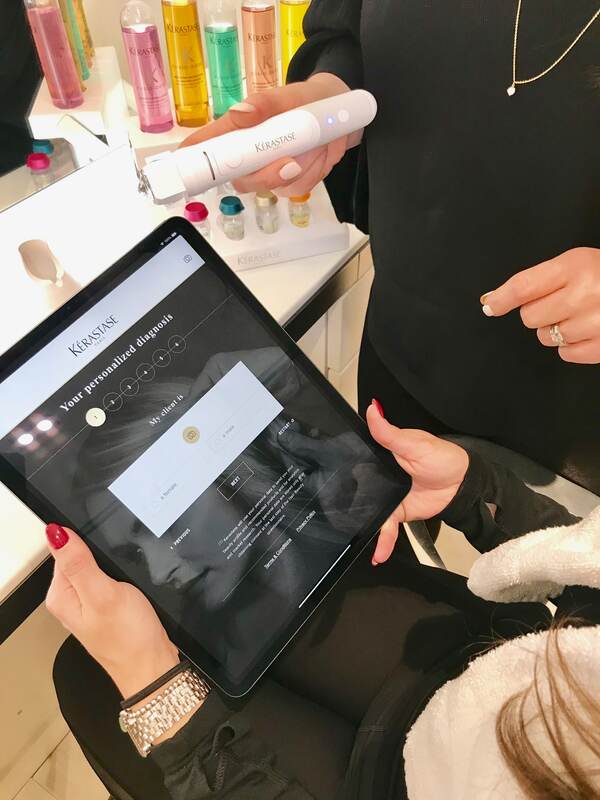 This revolutionary in-salon diagnostic tool is here to help you and your stylist find the exact regimen you should be putting your hair through. When you sit down with us, we’ll load up the app and ask you a short series of simple questions. These questions range from simple (How long is your hair? ) to more involved (How elastic is your hair? Is your scalp healthy? How are your roots in comparison to your ends?). Don’t worry, your stylist is here to answer the tough questions for you! You’ll also be able to state your primary and secondary hair goals. For example, “I want stronger hair”, or “I want less frizz”. This process is helped along by our exclusive Kerastase hair diagnostic tool – the Kerascope. 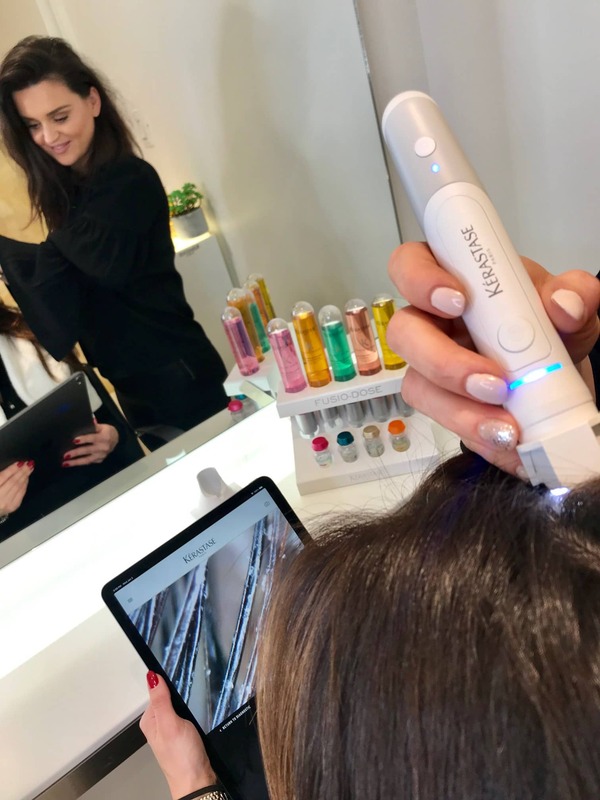 With a microscopic camera linked to the app, you and your stylist will be able to analyze your hair at an extremely fine level (Up to 600x magnification!). This isn’t just a massive breakthrough in ease of properly diagnosing your hair, it’s also fun! Once you complete this process – which only takes a few minutes! 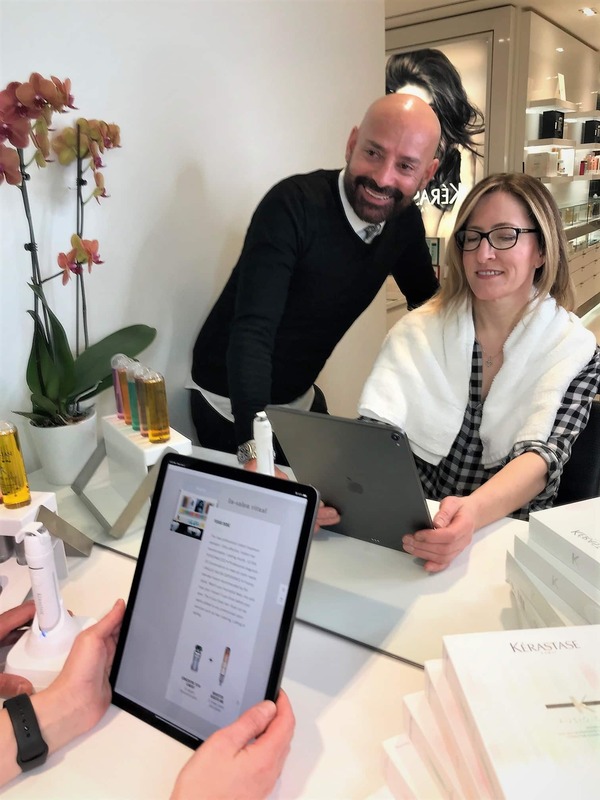 – Kerastase will present you and your stylist with a fully customized hair profile, detailing exactly what products you should use to obtain your dream results. Once your results are in, your stylist will have a discussion with you about what your service will entail. More than likely, you’re going to experience the Fusio Dose Treatment (click through to learn more!). This ultra-effective treatment utilizes a two-step process with 20 combinations to suit anyone’s needs. The Fusio Dose treatment is so quick and effective, you can add it to any other service that includes a wash (such as color, cut, or styling) with no hassle. The benefits of this hot new service don’t stop when you leave our salon! Your personal diagnosis also includes an at-home program section, which details the steps you should be taking at home as part of your daily regimen. Luckily for you, we sell a full range of Kerastase products right in our salon! You can walk out with a fresh new rejuvenated look, and lock it down easily by following the official Kerastase recommendations.